Cheng FC, Lin A, Feng JJ, Mizoguchi T, Takekoshi H, Kubota H, Kato Y, Naoki Y. Effects of chlorella on activities of protein tyrosine phosphatases, matrix metalloproteinases, caspases, cytokine release, B and T cell proliferations, and phorbol ester receptor binding. J Med Food. 2004;7:146-152. Halperin SA, Smith B, Nolan C, Shay J, Kralovec J. 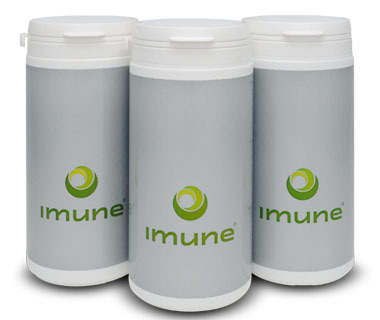 Safety and immunoenhancing effect of a Chlorella-derived dietary supplement in healthy adults undergoing influenza vaccination: randomized, double-blind, placebo-controlled trial. CMAJ. 2003;169:111-177. Justo GZ, Silva MR, Queiroz ML. Effects of the green algae Chlorella vulgaris on the response of the host Hematopoietic system to intraperitoneal ehrlich ascites tumor transplantation in mice. Immunopharmacol Immunotoxicol. 2001;23:119-132. Frank, Dr. Benjamin, “Dr. Frank’s No-Aging Diet.” B of A Communications Co., Baton Rouge, LA (1981). Sall MG, Dankoko B Badiane M Ehua E. Résultats d’un essai de réhabilitation nutritionnelle avec la spiruline à Dakar. Med Afr Noire 1999;46:143-146. Ishii, K., Katoch, T., Okuwaki, Y., and Hayashi, O. 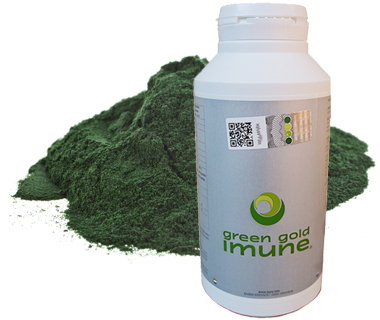 Influence of dietary Spirulina platensis on IgA level in human saliva. J Kagawa Nutr Univ 1999;30:27-33. Mishima T, Murata J, Toyoshima M, and et al. Inhibition of tumor invasion and metastasis by calcium spirulan (Ca-SP), a novel sulfated polysaccharide derived from a blue-green alga, Spirulina platensis. Clin Exp Metastasis 1998;16:541-550. Kato T, Takemoto K, Katayama H, and et al. 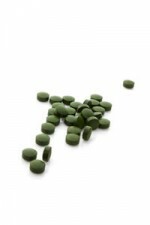 Effects of spirulina (Spirulina platensis) on dietary hypercholesterolemia in rats. Nippon Eiyo Shokuryo Gakkaishi (J Jpn Soc Nutr Food Sci) 1984;37:323-332. Becker EW, Jakober B, Luft D, and et al. Clinical and biochemical evaluations of the alga spirulina with regard to its application in the treatment of obesity. A double-blind cross-over study. Nutr Report Internat 1986;33:565-574. Fábregas, J., Domínguez, A., Maseda, A. & Otero, A. (2003). Interactions between irradiance and nutrient availability during astaxanthin accumulation and degradation in Haematococcus pluvialis. Applied Microbiology and Biotechnology 61: 545-551. Harker, M. & Young, A.J. (1995). Inhibition of astaxanthin synthesis in the green alga, Haematococcus pluvialis. European Journal of Phycology 30: 179-187, 8 figs, 3 tables. Kobayashi, M., Kakizono, T. & Nagai, S. (1991). Astaxanthin production by a green alga, Haematococcus pluvialis accompanied with morphological changes in acetate media. J Ferment Bioeng 71(5): 335-339. Suneson, S. (1958). Lithothamnion calcareum vid svenska västkusten. Botaniska Notiser 111: 197-199.